This post was published 10 years 9 months 3 days ago which may make its content inapplicable to the current Islanders roster and/or team news. This site is not responsible for any misunderstanding. These days, it seems no matter what the Islanders do there is a bit of overreaction involved. Be it the media, analysts, fans, or bloggers; the reactions are similar. As a life long fan of this franchise, it’s easy to understand why fans can get a little ornery from time to time, but what I refuse to accept is the way the media is so quick to place everything in a negative light or post opinionated drivel that is only meant to get a rise out of an already testy fan base. The media holds somewhat of a responsibility to keep fans educated, for they are a connection to the inside of a sports organization – flies on the wall if you will. They report news on injuries and transactions to firings and promotions, and of course – recapping games. What makes me angry is when these same journalists, mostly analysts from outside the reach of local papers try to spin their web of hate towards the organization. Sure, the Islanders have been an easy target over the years – but the story is old and it’s time to move on. Especially when there are other organizations in the NHL that also make questionable decisions. Where is the focus on these teams? What’s fair is fair, especially when some may even reside in Canadian markets. Share the hatred! I understand that any organization with the storied history the Islanders have will always be compared to the glory days, even more so when it really was run like a circus for a short period. The team has gone through numerous owners, some fraudulent and others as cheap as a piece of bazooka. You want to focus on coaches? Fine. Over the past 10 years, the Islanders have had several – eight to be exact (Mike Milbury, Rick Bowness, Butch Goring, Bill Stewart, Peter Laviolette, Steve Stirling, Brad Shaw and Ted Nolan). For the majority of the coaches listed, you can blame talentless rosters and Mike Milbury as a cause. Charles Wang, who purchased the franchise in 2000, was at the helm for four firings, with Milbury dropping the axe on three (Including himself prior to 2000 – twice). The firing of Ted Nolan yesterday, a mercy killing if ever there was one, signals the beginning of the Garth Snow era and the end, if Snow is to be believed, of the hockey-by-committee that the Islanders have practiced – and failed dismally at – in the past eight seasons. I have a feeling that the committee concept was abandoned sometime over the past year once Snow got a feeling for the GM role. He went into the trade deadline last season with a plan and once again in June for the NHL Entry Draft in Ottawa – so he has really been THE GM longer than many speculate. Garth Snow, up until this point has begun to prove that he is a competent GM with a vision that many Islanders fans have shared over the course of the past decade. To try to minimize any positivity that the firing of Nolan has caused – just isn’t fair. In support of this statement, I offer the following. Ted Nolan, sometime during the 2007/2008 season realized that the Islanders were out of contention, bruised, battered and likely going with youth from there on out. He maybe even felt a little scorned, betrayed even – that his protege Chris Simon was shipped out of town after two embarrassing incidents. I witnessed with my own eyes a man wrought with uncertainty and confusion walk down the runway and into an empty Coliseum on trade deadline day – as if to ponder the future of the team, and in retrospect his future. Maybe it was that cold day back in February that Ted Nolan decided he could not bunker down and take the bruises of a rebuild. Maybe he wanted to show the league that he could coach a team of “lunch pail” players and get blood from stone. Who knows? What we do know, is that this same strong headed individual known for being a players coach and master motivator, began to lose his locker room. We also witnessed a man buckle under pressure when questioned by the media, it may not have been glaringly obvious – but he seemingly called out management and was defiant in his decision making. Somewhere along the line, Ted Nolan decided he was too good for a rebuild. If this was any other team and Nolan was so defiant and outspoken in the media, he would be fired and there wouldn’t be much mud-slinging. But because this is the Islanders – it’s a free for all. Some fans have claimed that Ted Nolan was the only bright spot and credibility this franchise has had the past two years. Other than squeaking into the playoffs and getting the team to play beyond what they were supposed to, what has Nolan done in his career outside of two post season appearances (winning one round) and the Jack Adams? Not enough to say Ted Nolan was any of those things above, he needs a few more years in order to reach credible status in my eyes. If you check out the poll on Newsday’s site, you will see I am in the minority with my line of thinking. Islanders Army also touches on this poll – which is worth a look. There are a ton of varying opinions on the subject of blame regarding Nolan’s dismissal, divorce or “mutual agreement” – whatever you want to call the situation. Two players in the blame game are James Mirtle who posts twice on this subject and Greg Wyshynski (aka Puck Daddy). The biggest indication that this was an ill-timed decision? The Islanders’ annual five-day rookie camp started on the very day the head coach was fired. Nolan may have had to go, but it makes quite a bit more sense to fire him earlier in the off-season, if only so the organization doesn’t miss out on the best candidates to replace him. In support of the timing issue, which I do admit was a tad on the bad side – I told Mirtle that last year Nolan wasn’t really involved with prospect camp and chose to observe, take notes and chat with fans. Bryan Trottier is really the man in charge of the prospect camp – so firing Nolan on the day camp starts shouldn’t have been the biggest issue. I agreed, that with all the negative press regarding the Snow-Nolan relationship it should have been taken care of before it progressed to the point it did. However, I still place the blame on Ted Nolan. Greg Wyshynski talks about a Larry Brooks article in the NY Post (the man I love to hate) and the varying opinion in Islanders country. The Islanders TOI numbers skew towards “Nolan-type players” and away from the future of the franchise, in what was a lost season. All due respect to Miroslav Satan, but on a team that’s 15 points out of the postseason there’s no reason why his TOI (18:19) should dramatically eclipse that of Jeff Tambellini (10:25, 31 games), Blake Comeau (11:40, 51 games) and Sean Bergenheim (11:15, 78 games). They’re the future; he was a lame duck. Without question, Miroslav Satan should not have been given as much ice time, specifically on the power play playing the point given his off season and his nagging knee injury. What really is worth another mention, is the reluctance of Nolan to move away from his 1-3-1 defensive system later in the season. Given the team was out of playoff contention and suffering miserably with defensive injuries, he should have allowed the younger players a chance to play a more offensive style of play in order to get a feeling for the NHL, which is my biggest gripe. Greg Logan has done an outstanding job covering all the latest on Ted Nolan’s departure, he has had several articles in Newsday and on his blog. One of the biggest pieces of news slipped into any of these is the surprising revelation that Nolan was given permission to interview with other teams following the end of the season. When the season ended, Nolan’s job status appeared uncertain. With several NHL head-coaching jobs open, a league source said, the Islanders gave Nolan written permission to interview with other teams. But he did not receive an offer. Regarding the bold statement in the quote above, I have a funny feeling that there may not be another chance for Ted Nolan in the NHL after twice having similar problems with his GM. Looking forward, I liken this to a new beginning and a fresh start moving into a rebuilding year. The Islanders are ripe with young talent and the right amount of veteran presence to make things competitive. They will show the kids the ropes and make them better NHL players. Hopefully, whomever the Islanders tap into for a head coach will share the vision, install the correct systems and restore the glory to this scarred franchise. I know there are a bunch out there who are not looking forward to this season and between the draft and now the removal of Nolan may not want to come out and watch, but in order for this franchise to turn around – it needs all the support it can. This move was necessary and not wrought with that of peanut shells and three rings. I promise. Bergenheim Avoids Arbitration, Tambellini Signed! Sorry but Mr Logan is a big part of the problem too and works for the same paper Mr Wallace, the guest amateur writer who blasted the club recently that was so poor it had to be pulled and Mr Baumback/Rieber and Mark Herrmann who are never shy about blasting the club first and anything else second. You think the die-hard writers who have covered the same club for decades beat down a team barely being covered like this? You think the Hawks or Kings take this kind of beating all the time over the years? Tampa just took a cup winning coach and threw him out the door for a broadcaster, their gm sat on the sidelines for the draft and free agency in silence and the ownership inherited a club that finished 30th who threatended Dan Boyle after signing a contact to where he was furious by his own words. Tampa media did not throw the club or anyone under the bus like Mr Logan and Newsday did or turn it into a soap oprea for months airing all the dirty laundry they could. Rangers spent 90m on two centers who could not play with Jagr, he admitted loafing this season and things were so bad he preferred Russia as opposed to playing with them again while the gm sent a public message to his coach they will play more offense. Mark Herrmann did an article on a family of Ranger fans in California they day they were eliminated after an article gushing about Jagr even though he loafed all season, I did not see that when the Isles lost to Buffalo in Newsday. Mr Logan did a great job airing the clubs dirty laundry in a way he never did covering the Rangers when they struggled and had their problems for years. Meanwhile Al Arbour returns, Rick DiPietro starts the all star game and Mr Logan does not even write about it? he took what seemed like public tantrum at the clubs injury policy among several problems. One beatwriters opinion has become the only voice for all media impression everywhere. Even Mr Botta blasted Newsday in the past (April 2006) for poor coverage and singled out Alan Hahn who actually was an Islander fan, nothing new. Lamoriello fires his coaches in first place in March and his club does not have it’s dirty laundry aired to this degree. Everyone gave us a poor show here. The point of the what I wrote was two-fold, number one – there is coverage, period. Logan does do a good job for the most part, he digs around and gives us a story. Whether or not you agree with that is your own opinion. Did dirty laundry get aired, yes. Was it necessary? If it was what it took for some sort of decision to be made then yes, if there was no problem with Nolan I would feel differently. We are in a position to really take advantage of the situation – which is all I am trying to do. There should always be coverage. Twenty nine other clubs and most of them do not have their dirty laundry aired to this degree that receive a lot more coverage than the New York Islanders during Mr Logan’s Islansder tenure at Newsday. It only seems to turn into Toronto around this team in this paper when there is bad news, not for playoffs, Al Arbour, core of four, Rick DiPietro all star game ect. The media coverage should never be necessary or play any part in any internal decision regarding a team employee on any club so we respectfully disagee on that part of it. And as I wrote above we have seen writers contradict one another and retractions issue. Not about the blogger at all here but the professional media writing in the paper and a question of limits which we see for most of the teams in this league but not in Newsday when there are problems. Contradictions happen all the time – Katie is obviously not talking to Greg. The editors likely are not picking up on this either. And how can you say the other clubs don’t have laundry aired? Are you THAT up to speed with the 29 other teams? Let’s not get ridiculous here. You are right though, it shouldn’t play a role on decision making – but when people on the outside of the organization pick things apart before they become a full on problem, how can the team not react in someway. Be it a statement or personnel change. Thanks for this. I read Matthews’ column today and wasnt too thrilled with his lack of objectivity, yet this has put things into perspective. I wasn’t so upset with the fact that Nolan got fired…I have become more upset with the constant state of flux this franchise is in. Contradictions do happen all the time everywhere. When they happen with this club it’s portyared as a disaster with coveage that ignites a firestorm of negative fan reaction that even has Mr Witt critical in his blog of Newsday’s burried retraction on it’s article about Yashin or it’s earlier retraction headline on Nolan threatens veterans with trades. Mr Logan makes this huge deal out of Dubie with Nolan taking issue with Snow. Ms Strang covers the event tghe next day and afterward has comments from both it was not a big deal with Nolan saying he did not even know there was a problem with even Snow quotes as saying the media report was overdone. Then Mr Logan (who did not even cover the event) writes the other day it turned into a full blow conflict that night which he never even wrote about, until the other day over a month later? Don’t you think Mr Logan and Ms Strang should have spoken to one another? Am I that up to speed on all the other 29 teams? No. Do I see clubs with a lot of problems (I used Tampa’s problems which were far worse than the Isles) ever take the beating the Isles do? Cannot say I do, maybe Toronto but they did not even take the beating the Isles did for firing Paul Maurice. Not much else to write, I hope things are good with Hank, I tried following up a few times. I know we’ve debated this before, but I give Logan credit for how he’s handled coverage of the Nolan-Snow relationship (digging into a problem that, obviously now in retrospect, was quite real), and in particular how he’s covered the firing. I don’t think he sets a negative tone that other (lazier) writers pick up on when they do their Isles bashing. I think considering the market he’s in (where less-informed but noisier writers’ rants will get the attention) and the constraints put on his schedule/access by Newsday, he is a plus. Chris Botta continued to praise him even after he left the job that would be made easier by doling such praise. QUESTION: Greg, the Isles are getting killed in the media. Do you think things are as doom and gloom as the picture being painted? It seems the Islanders have a plan and that this just a case of "piling on", but we’ve been through this before. I think the Isles really are missing Chris Botta. LOGAN: Well, I’ve talked about this subject in the past with a lot of writers I respect. Not in regard to the Islanders but in terms of picking the easy target and then firing the stereotypical response. It’s a kind of school of knee-jerk journalism. Which is not to say that it’s always inaccurate, just that it’s easy to produce. I think everyone is going to respond most strongly to the commentators with a message they either love or hate. But in the end, you have to judge the commentary on the dpeth of accurate information, research and understanding the writer has of his subject. And decide on that basis whose writing you want to pay attention to. Then, don’t worry about the rest of it. 1) Firstly nice blog. Came across via an islesarmy listing. Your take/opinion are interesting/thought out/well written. However can’t help but disagree with your premise that the ‘over reaction’ is media generated. 2) Sure guys like Larry Brooks Bruce Garrioch, etc do frequently over react to information, if not make up their own facts to juice up a story. However the Islander situation doesn’t need any assistance in that regard. 3) You alluded to a ‘circus’ for a short time. 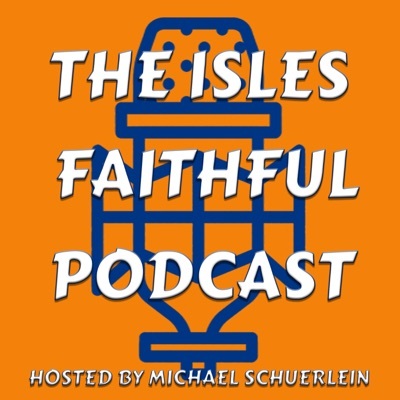 Many of us who are not Islander fans(for the record we are NOT Islander haters either!) look at your teams moves and can’t help but think that its still a circus. We don’t have top rehash the last 24 months for you. As an apparently well read fan you know what’s been going on. However, many times fans of teams go into denial to some degree and overlook the mistakes that outsiders can plainly see. Circling the wagons to some extent. Feeling the hockey world is against our team, etc. 4) We at FAUXRUMORS keenly recall the dynasty days, and even before when the team was just starting to take shape. People forget that even those teams had issues. However, at the end of the day as a fan you could feel confident that Bill Torrey was in charge of hockey operations/personnel but didn’t interfere with the on ice decisions of Al Arbour, and above all the owners stayed in the background. 5) The reason many Islander fans we’ve talked to are annoyed with the recent turn of events is that they can see a pattern developing. Wang seems to be taking more and more of hands on control. The impulsive type moves that makes one feel insecure about the teams future. Perhaps the latest(3rd in 3 years by our count) long term plan will work, but fans who haven’t seen a playoff series win in a decade and a half have reason to be suspect on the current/new direction that almost assures 1-2 very bad seasons. 6) We wish your team well. AS we wrote on several places, Islander fans should be applauded for sticking with their team through all the turmoil that has plagued them for about the last 15 years. Hopefully this is the last of the soap opera moves and things settle down and improve. 1) PS: I have added your blog onto our blog roll as one of our Islanders represenative blogs we reccommend. You’ve bemoaned the fact that Logan’s voice is the only voice providing regular coverage of the Islanders. If Katie Strang is contradicting Logan, then isn’t that another voice we’re getting? Why can’t two Newsday writers contradict each other? No, Katie is not on the beat full time, so her perspective is not as prominent. But if the answers she gets and the manner in which she interprets those answers differ from what Logan gets and says, then it seems to me that contradiction at least provides a little more diversity of opinion. You’ve also expressed concern over Nolan and Snow lying to us about the status of their relationship and Nolan’s future. It’s no real stretch to imagine that they were less than straight when giving quotes to Logan and Strang, whether to advance their own agendas or to cover up their differences. Either way, that could be the cause of the contradictions. I know you believe strongly in what you’ve written about these matters, but I just wanted to present another way of looking at it. Just saw this Isles Outsider. Katie Strang covering an event for Greg Logan is not our fans getting two writers, it’s one taking over for another for a day. Sure they can contradict one another but if one writes on a Monday the coach took issue over Dubielewicz and the next day at a team even the other writes the coach is quoted as saying he did not even know there was a problem that is more than a contradiction between reports. Greg Logan did not write a word after that report by Ms Strang at the business meeeting. Only a full month or so later did Mr Logan finally tell us there were more problems at that meeting between them with again no quotes confirming this from either one of them, a meeting he did not even cover that day. Regarding your other point sure Nolan and Snow can lie to us every time however it does not excuse one writer claiming Nolan took issue (without supporting quotes) while the other did produce supporting quotes it was not a big deal. Garth Snow even said the reports of a disagree on Dubie were overdone. Mr Logan also wrote recently the coach talked about his coaching status RECENTLY in his article the a day before the change happened, that was back on 5/2 in the Sault Star begging the question where had Mr Logan been for almost a month and a half? I can appreciate bonds made with Mr Logan among fans and bloggers but this is a writer who took what amounted to an attack at the club on it’s injury policy the same day he or Mark Gandler went to the other for some quotes on Yashin and then Newsday gave us a headline on Yashin returning that had to be retracted after a mountain of negative publicity. This was after an earlier retraction of an article title Nolan threatens veterans with trades. Mr Logan dug into nothing. He made a ton of mistakes and got behind whatever problems he had and gave it a push with contradictions in his work. If someone says it’s going to rain ten days in a row and finally the tenth day it does rain only means they finally got it right but were wrong nine other times. All due respect to Mr Botta but Mr Logan told his story in the paper and put it mostly on Chris Dey and it seemed done not to praise a good man for twenty plus years but to assign blame for a resignation. Mr Botta blamed no one but told his side on his blog. One part you and Mr Logan left out in that question/answer part. Almost all of those negative articles Mr Logan comments about all came with the words according to Greg Logan of Newsday in the first paragraph. Your enthusiasm for righting the media is wonderful, but I just don’t see the same conspiracies as you. Logan had been talking about this rift for a lot longer than he was writing about it. It’s not like he just pulled the theories out of thin air like you suggest. Regarding Gandler, why assume Greg chased him? It’s clear that he was putting his clients name out there to create a buzzin the hopes he could return to the NHL. There was no talk of Yashin prior to Logan’s article, you assume Logan is responsible for far too much. I would not call anything a conspiracy, just poor reporting or poor attention to detail that causes damage, the kind a burried retraction does not fix which even Mr Witt was not happy about. Mr Botta in 2006 blasted Alan Hahn in Newsday and the papers coverage that year so there is a history of this. Mr Botta told us all we needed to know about the problems with Ted Nolan, his gm and his own players these were major items brought up at the first post-season meeting. All I do know is our beatwriter the same day he complained in print about the club’s injury policy on Guerin/DiPietro was either contacted by Yashin’s agent or Mr Logan contacted him and it stirred up a lot of negative fan reaction and another incorrect headline. Just as bad Gandler was one of Bergenheim’s agents, our beatwriter did not even bother that day getting a comment on Bergenheim’s negotiations for us which was far from a normal situtation. A few weeks later in a chat he answered a question and confirmed he did speak to Gandler about Bergenheim that day but never even bothered telling the fans. Sometimes Mr Logan does a very good job, other times his work raises some very fair questions considering most articles these days all begin with according to Greg Logan of Newsday.